Powerful things often come in small packages. Cocaine, a highly addictive and commonly abused illicit stimulant, has held its iron hand around the United States for decades. The drug was responsible for nearly 600,000 emergency room visits in 2006. Approximately 2.1 million people were using coke in 2007. And while the country is rife with rehab centers dedicated to cocaine addiction, the drug often never relaxes its grip until it has squeezed the life out of its users. The rate of relapse is very high when it comes to cocaine, so it is important to be prepared after leaving rehab. 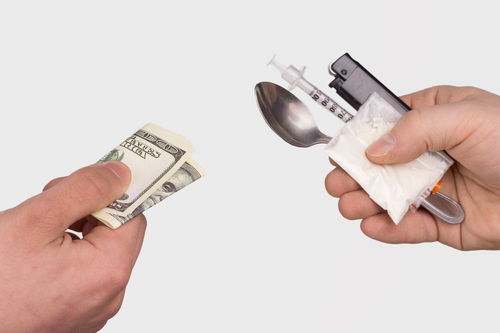 Here are a few tips to help prevent cocaine use after rehab. People typically take drugs to remedy a problem. Whether it is to cope with loss; to manage feelings of anxiety, guilt, shame or loneliness; or to self-medicate, drugs give the appearance of solving a problem. Unfortunately drugs do not solve the problem, they merely push it into the background temporarily. It is vital to remain aware of this mechanism when it comes to cocaine, and to remove the negative factors that might be causing stress in the first place. You may want to re-examine your life after rehab and consider a change of environment. Perhaps you have goals and aspirations that you can begin to pursue, such as traveling, taking up the arts, or going back to school. Frequent walks, good nutrition and plenty of sleep all help one cope with stress and negative feelings. Another factor to consider when it comes to stress is the people you are surrounding yourself with. For your health and well-being, it is vital to walk away from any relationships that have a negative impact on you. No matter how steely your will, it will likely crumble in the presence of cocaine if you have a history of addiction. An alarming number of recovered addicts relapse because they are still in touch with people who offer the drug, use it in front of them, or merely talk about using it. One of the best things you can do to avoid relapse is to put firm rules in place that hinder availability. Tell friends and other users not to discuss drugs at any point when they are with you. Or better yet, cut all ties with anyone who might still be doing drugs or in any way support drugs. Remove all names and numbers from your phone, email, or other places that allow you to contact someone for drugs. Life after rehab is not going to be an easy ride. While you have made heroic strides on the road to recovery, allowing your body to detox and coming to grips with addiction, the journey is not over. The road to sobriety is a continual one, and not without bumps and potholes. It is important to approach recovery with courage and be prepared to face the difficulties that come up. If you are unable to confront issues like cravings, lapses in judgment, negative feelings and stress, you will likely turn to drugs again when these things come up, which they often do. It can be excruciating to try tackling addiction alone. In fact, it is nearly impossible. Life after rehab is no different, and it is very important to find people that you can lean on when you need them. Family, friends and unexpected acquaintances can all offer a hand when you need it. While it is important to remove all the negativity from your life, it is equally as key to fill it with warmth, compassion, friendship and love. Make sure you have a strong group of people that you can turn to if you need it and who let you know that you are not alone.